Size: Diameter(Unstretched): 2.5" This is an adult stretch style. One size fits most. The Adult Pearl Bracelet makes the perfect gift for your wedding party! 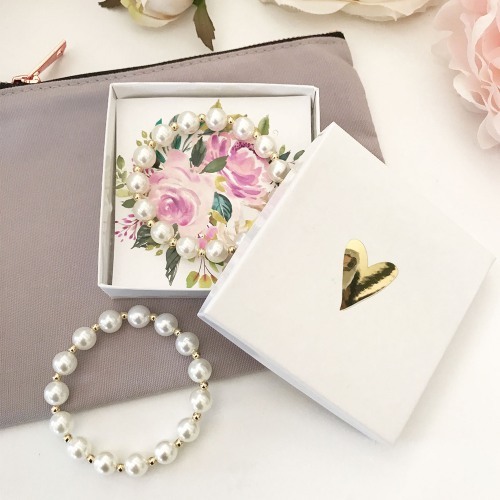 The faux pearl bracelet is a must-have for the girls in your bridal party. Material: Faux pearls and alternating gold-plated beads. This is an adult stretch style. One size fits most.